From The Vault: Do you remember the Cincinnati Strangler? City was terror stricken when seven women were strangled between Dec. 1, 1965 and Dec. 9, 1966. In the video above, watch legendary WCPO news anchor Al Schottelkotte report on the seventh strangler slaying and watch police bring in the suspect on the very same day. But this was not Boston, where an infamous murderer's spree killed 13 women between 1962 and 1964 and the confessed killer, Albert DeSalvo, became immortalized in a movie starring Tony Curtis. No, this was Cincinnati, which went through its own real-life reign of terror a few years later. Seven women were beaten and strangled in a year's time between Dec. 1, 1965 and Dec. 9, 1966. All but one were raped. All but one were older than 50. </p><figcaption><p>A cord used to kill one of the Cincinnati Strangler victims. As the killings mounted, fear gripped the city. Door locks and dead bolts sold out in hardware stores. Police were overwhelmed with calls from women fearing they were being followed or reporting seeing strange men in their neighborhood. There was good reason to fear. Four women were killed in their apartment buildings – two in their own apartments. "After the earlier murders, we were afraid to go out or be alone," one woman told a WCPO reporter. "Now we're afraid to stay at home." No one felt safe because the killings seemed to happen at random – at home, in a park, on the street – and they were widespread – from Clifton to downtown to Price Hill. One of the victims, fearing for her daughter's safety, left her home alone at night and drove to pick up the young woman at work and take her to her apartment. On the way, she told her daughter that a car was following them. After dropping off her daughter, she went home and was attacked walking from the driveway to the front door. She was dragged into the garage, raped and strangled. Police thought early on that one man was doing all the killings, despite the fact they were so spread out. 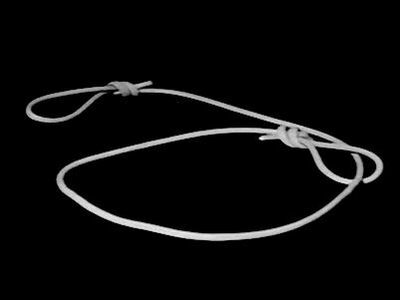 The killer's MO was similar – two women were killed with a nylon or plastic cord knotted into loops at each end. Before the killings started, at least two women were attacked in the same manner but managed to escape. The others were strangled with stockings or a necktie or a belt from a bathrobe. The fourth victim was different, and her attack provided clues that helped lead police to the suspect. 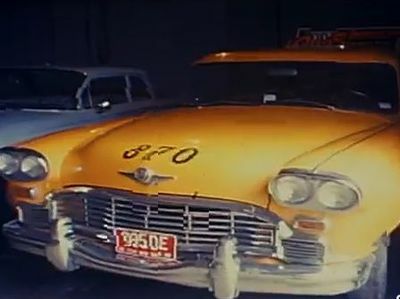 Yellow Cab 870 stolen from a lot and used to pick up one of Cincinnati Strangler victims, Barbara Bowman. Barbara Bowman, 31, had gone to a Clifton bar with friends and decided to take a cab home around 2 a.m. Her body and the abandoned cab were found at a street corner in Price Hill, a block from her apartment. She had been beaten and stabbed - not raped. Police believed Bowman had put a fight, and her killer panicked and fled. In the cab they found Bowman's purse, a bloody paring knife used to stab her and a rope that had been used to try to strangle her. It turned out the cab had been stolen from a Yellow Cab lot and a man had used it to pick up at least six fares before Bowman. Police said they found nearly two dozen people who thought they had seen the cab driver and they called in an FBI artist to work up a sketch. That was in August, 1966. Three more women were strangled in Cincinnati that year – the last on Dec. 9. The body of Leila Kerrick, 81, was found in her apartment building elevator at 104 W. Ninth St. She had walked home from early morning Mass at St. Peter in Chains Cathedral three blocks away. She was strangled with her own stocking. 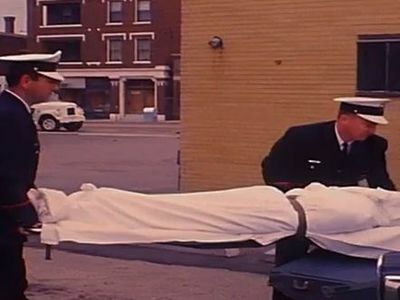 </p><figcaption><p>Police take the body of one of the Cincinnati Strangler victims to the morgue. Someone called police claiming they saw a strange man leave Kerrick's building and gave them a license plate number. The car belonged to 28-year-old Posteal Laskey, a former cab driver. Police quickly tied Laskey to Bowman's killing. Laskey had given his former cab number, 188, to the dispatcher who requested a taxi for Bowman. Police arrested Laskey the same day Kerrick was killed, but they charged him with the murder of Bowman. Laskey said he was home at the time Bowman was killed, and two people supported his alibi. But there was the evidence from the taxi, and people who said they saw the driver identified Laskey. Plus, the strangulations stopped after Laskey's arrest. "There was no doubt in my mind he was guilty (of all seven strangler slayings)," said Artie Crum, a police officer at the time. Ultimately, an all-white jury convicted Laskey, who was black, and Laskey was sentenced to the electric chair. He was never charged in the other strangler killings. After the Supreme Court banned executions, Laskey's sentence was commuted to life, and he died of natural causes in prison - after 40 years behind bars - in 2007. He was 69. LAST WEEK IN HISTORY: JFK assassination almost put different name on Brent Spence Bridge. 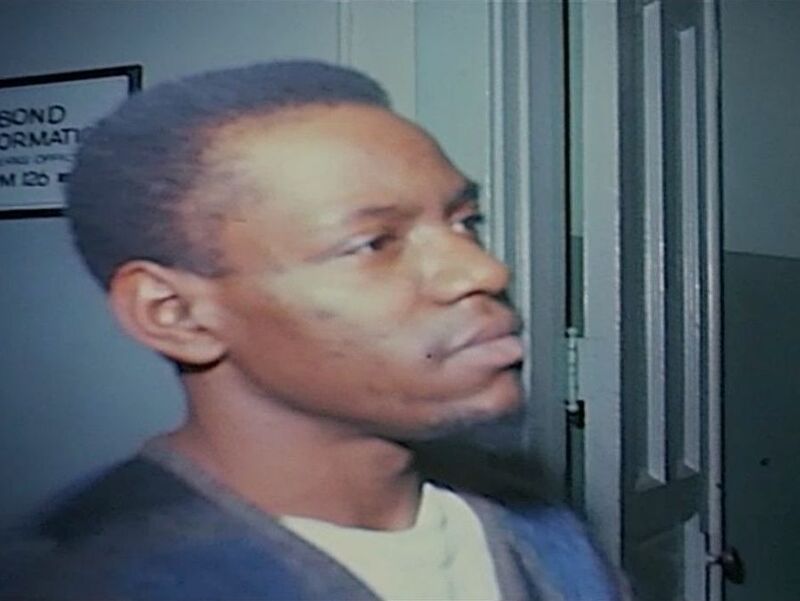 > Dec. 2, 1965 – Emogene Harrington, 56, killed in the basement of her apartment building at 1404 E. McMillan St. She had returned from grocery shopping and went downstairs to ask the janitor to carry in her bags. The janitor found her body in a bathroom. She was strangled with a nylon cord. Her husband. Dr. R. Paul Harrington, was head of the Department of Aerospace Engineering and the Institute of Space Science at UC. > April 4, 1966 – Lois Dant, 58, killed in her Price Hill apartment at 1210 Rutledge Ave. Her husband had gone to church. Mrs. Dant was on the phone with her cousin when the doorbell rang. She went to the door and when she came back, she told her cousin a man was looking for the building superintendent. The doorbell rang again 10 minutes later. She excused herself to go to the door but never came back to the phone. When her husband came home, he discovered her body. She was strangled with one of her own stockings. Police said she probably opened the door and the killer overpowered her. > June 10, 1966 - Jeannette Messer, 56, killed while walking her dog on the Chipmunk Hollow Nature Trail in Burnet Woods, as she did every day. She had been dragged into the bushes and strangled with a paisley red and blue necktie. The tie had been pulled with such force that it ripped in two. One piece was still around her neck. Police said they found the black and white Fox Terrier sitting quietly nearby - the killer had tied the dog's leash around a tree. She lived two blocks away on Jefferson Avenue. > April 14, 1996 – Barbara Bowman, 31, a single secretary living in Price Hill, had gone to the Lark Lounge on Vine Street in Clifton with friends. She left in a cab at 2 a.m. Her body and the abandoned cab were found on Grand Avenue about a block from her apartment. She had been beaten and stabbed. Her purse, a bloody paring knife and a rope that had been used to try to strangle her were found in the cab. Police said Bowman had been carrying about $200 she planned to take on vacation. The money was not found. > Oct. 12, 1966 – Alice Hochhausler, 50, found dead in her garage at 3480 Cornell Place, strangled by the belt of her red bathrobe. Mother of nine and wife of a Good Samaritan Hospital surgeon, Dr. Carl Hochhausler, she had left the house alone the night before to pick up their daughter, a nurse at Good Sam, and take her to her apartment after work. After she got home, police said she was struck on the head as she walked from the driveway to the house. The blow was so strong it knocked her dentures out. She was dragged into the garage by her ankles. > Oct. 19, 1996 – Rose Winstel, 81, strangled with an electrical cord in her apartment at 2289 Vine St., Clifton. > Dec. 9, 1966 – Leila Kerrick, 81, strangled in the elevator of her apartment building at 104 W. Ninth St., downtown. The killer tied a stocking around her neck.